The truck driver arrested in connection with the botched smuggling operation that left 10 people dead in July - will be spared the death penalty. 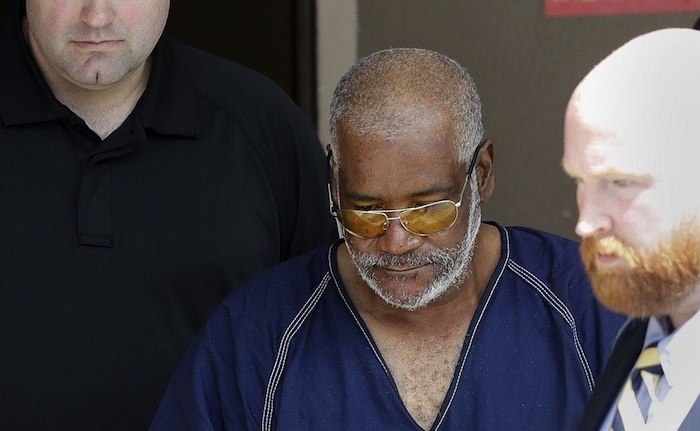 On Wednesday, the U.S. attorney's office in San Antonio said that it will not seek the death penalty against James Bradley Jr. but he is facing three additional charges in relation to case and a second defendant has also been charged. The court documents reiterate the events of July 23 that led to the 60-year-old truck driver’s arrest and also became a headline news story. Police officers responded to a call made by a Walmart employee that had been approached by one of the immigrants in the parking lot asking for water. When officers arrived at the parking lot they found a semi-truck with people standing and lying in the rear of the trailer and Bradley sitting in the cab. Approximately 39 immigrants were discovered by officers and most were of Mexican descent and had been smuggled across the United States' southern border. After being interviewed by authorities, court records state the immigrants estimated the trailer contained between 70 and 180 to 200 people at one point during transport. Witnesses also explained that the trailer's cooling system was broken and they fought to breathe and made many attempts to get the driver’s attention by banging on the trailer as they headed north. 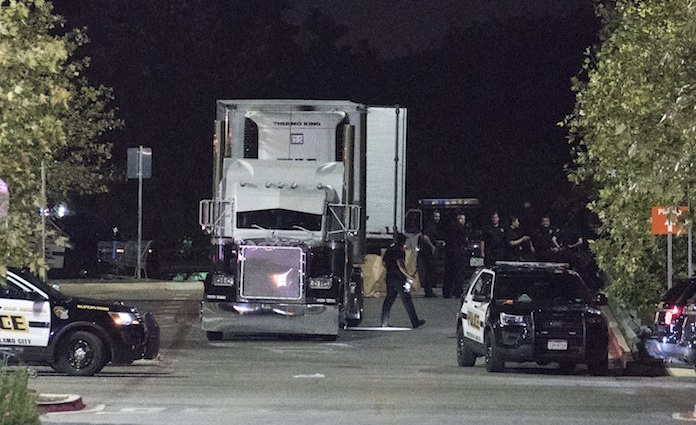 By the time the semi-truck reached its final destination in the San Antonio Walmart parking lot, 8 people had already succumbed to the trailer’s insufferable conditions and 2 more people later died after being hospitalized. The immigrants also told U.S. authorities how they paid the smuggling operates arranged fees to be transported across the border. Court documents also indicate that authorities recovered a .38 caliber pistol from inside the cab of the semi-truck. According to the criminal complaint released in July, Bradley told investigators he did not know that anyone was inside the trailer and had simply been told the trailer had been sold and he was transporting it for his boss from Iowa to Brownsville, Texas. However, he also told them he had driven to Laredo, Texas, and stopped twice there before driving back to San Antonio, which is in the opposite direction from Brownsville. A second suspect, 47-year-old Pedro Silva Segura of Laredo, was arrested the next day after he was allegedly seen leaving a house where investigators later found 18 undocumented immigrants. Court documents also allege Silva is in the U.S. illegally, was involved in transporting immigrants and tried to shield them from detection. Prosecutors say he could face up to life in prison or even the death penalty. The superseding indictment released Wednesday, charges both Bradley and Silva each with one count of conspiracy to transport and harbor immigrants who are illegally in the U.S. for financial gain resulting in death; one count of conspiracy to transport and harbor immigrants who are illegally in the U.S. for financial gain resulting in serious bodily injury and placing lives in jeopardy; and two counts of transporting immigrants who are illegally in the U.S. resulting in serious bodily injury and placing lives in jeopardy. The indictment also charges Bradley with the three additional counts that include transportation of immigrants who are illegally in the U.S. resulting in death; transporting immigrants who are illegally in the U.S. resulting in serious bodily injury and placing lives in jeopardy; and possession of a firearm by a convicted felon. If convicted, Bradley could get up to life in prison. Authorities also say they are continuing to investigate the case as part of a broader operation to organize and fund the movement of people illegally across the United States' southern border.